Sightseeing tours of UNESCO World Heritage Sites in Kathmandu, Pasupatinath (Hindu Shrine), Boudhnath (Buddhist Stupa), Kathmandu Durbar Squre and Swayambunath Stupa. Scenic mountain flight to and from Jomson. Visit Historical places Kagbeni, Lo-mangthang and Muktinath temple. Stunning view of Annapurna, Dhaulagiri and Nilgiri. 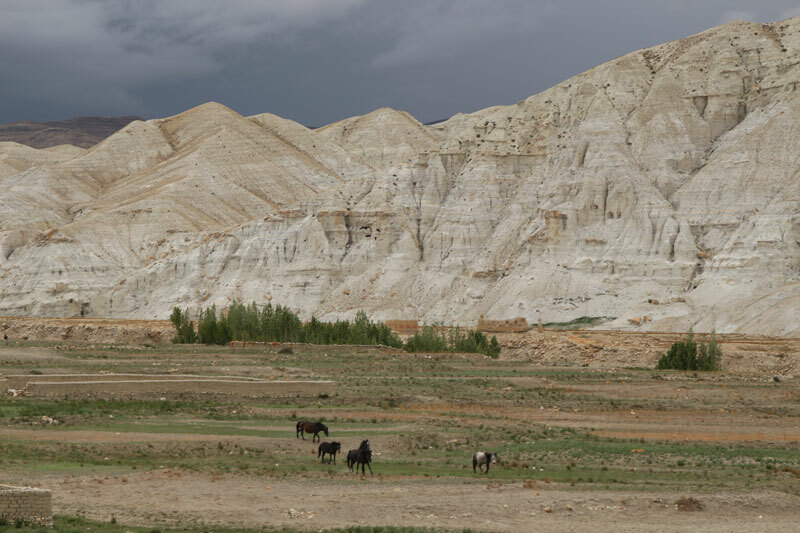 Upper Mustang Trek is a journey to the hidden kingdom of the Mustang region of Nepal. 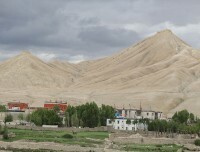 It is also the border region to Tibetan highland. 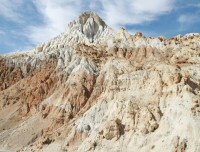 Above the Annapurna region, this arid part of the Mustang lies. 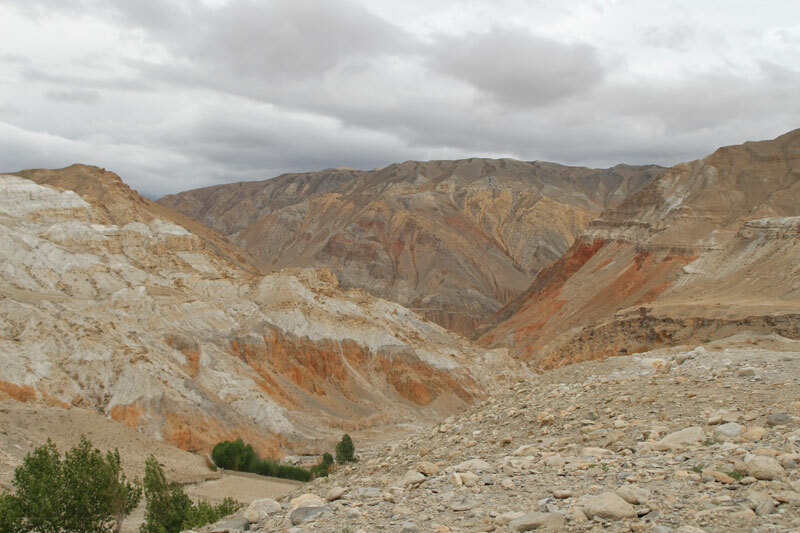 Trek to Upper Mustang is filled with diverse attractions, either in natural panoramas or in the cultural sense. 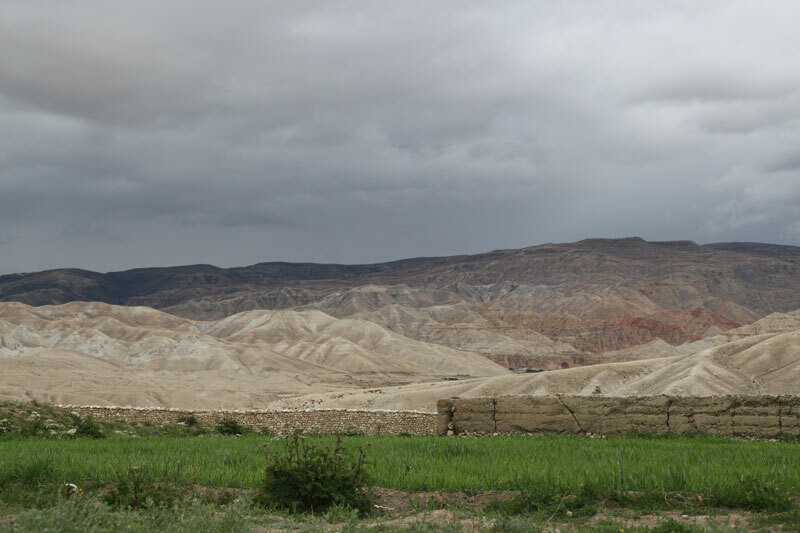 Located beyond the Annapurna Himalayan chain, Upper Mustang is a least rain falling zone, where trekkers can trek even in the monsoon. 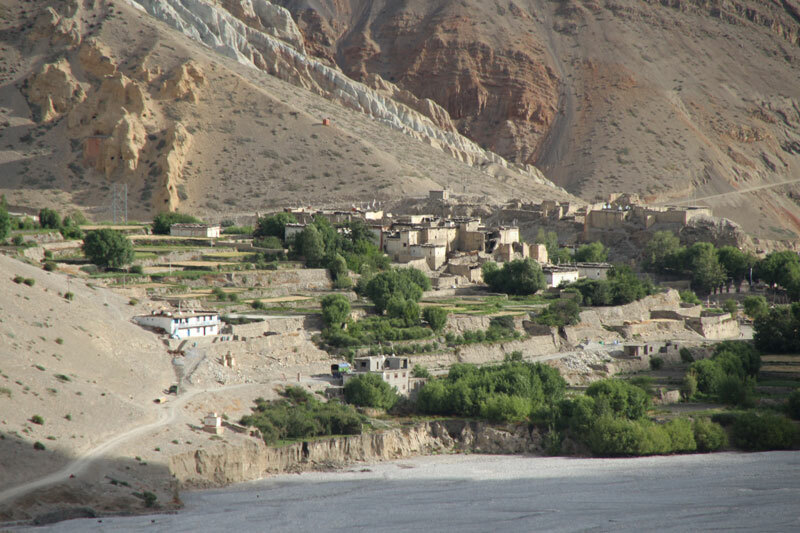 After flying to Jomsom, Upper Mustang trekking begins through the windy Kali Gandaki valley. 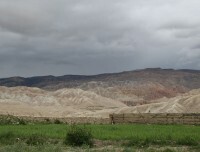 From Kagbeni, it moves towards Upper Mustang. 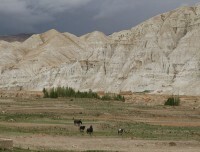 Lomanthang is the prime appeal of this trek. While walking, you can see the white washed traditional houses with Buddhist prayer flags on the rooftops. The vegetation is assorted recurring flowers, barley and potato fields make the local scenario fabulous. 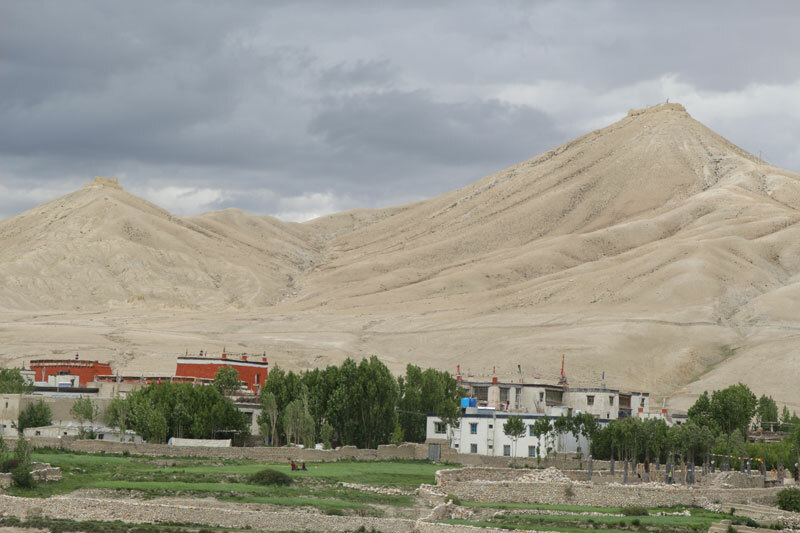 Passing Chele, Geling and Tsarang, you reach to the stone fortification town of Lomanthang. 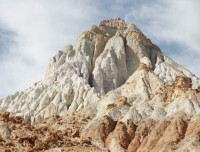 It is a culturally loaded place with Gompas and Chhortens. 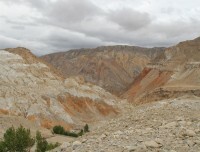 During the exploration day, we hike to the Namgyal Gompa and Tingkhar. While returning, you take a different route so that you can explore 1200 years old Ghar Gompa, which is popular to fulfill the wishes. Before trekking back to Jomsom, you trek to the Muktinath temple, the place where Hindu and Buddhist devotees want to reach once in their lifetime. 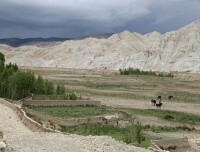 Lovely Nepal Tours and Travels organize Upper Mustang Trip based on your interested itinerary. 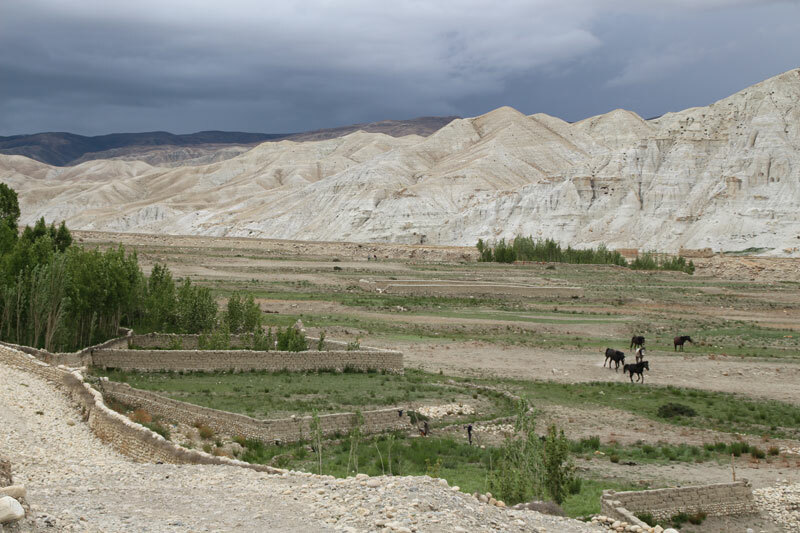 We recommend you to follow the dateline of the Upper Mustang Tiji festival and trek there. Normally it falls in May. It is a world renowned festival, celebrated for three days. Please, feel free to contact us for the further details. Day 01:Arrive in Kathmandu airport (1345 Meters ). Day 03:Drive to Pokhara (820m). About 6 hours. Day 04: Fly to Jomsom (2720m) and trek to Kagbeni (2810m). About 3-4 hours. Day 05:Trek to Chele (3050meters). About 6 hours. Day 06:Trek to Geling (3500m). About 6-7 hours. 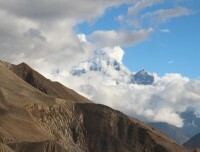 Day 07:Trek to Tsarang (3560m). About 6 hrs. Day 08:Trek to Lo-mangthang (3710m). About 4-5 hours. Day 09:Exploration at Lo-mangthang. Overnight at guesthouse. Day 10:Trek back to Dhakmar (3820meters). Day 11:Trek back to Ghiling (3800meters). About 5-6 hours. Day 12:Trek back to Chhuksang (2980meters). About 5-6 hours. Day 13:Trek to Muktinath (3760meters). About 6-7 hours. Day 15:Early morning fly back to Pokhara. 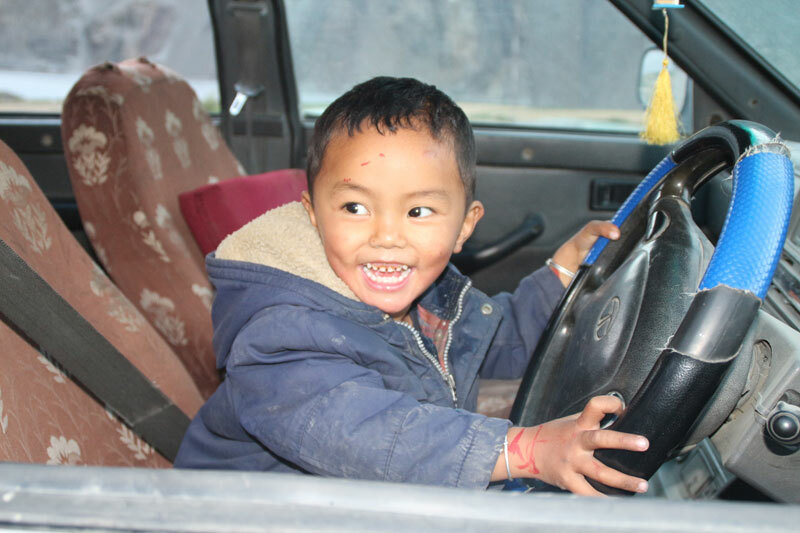 Day 16:Drive back to Kathmandu. (Can fly if required). Day 16Drive back to Kathmandu. (Can fly if required). In the morning we drive back to Kathmandu through the Prithvi Highway. Arriving Kathmandu, transfer to the hotel and rest. Overnight at hotel. (B & B) (Lovely Nepal Tours and Travels recommend a trip to the Chitwan National Park to enjoy the Jungle safari in Nepal. It is the most visited national park of Nepal, which is a home of one-horned rhino and the Bengal tiger). Day 17Departure. 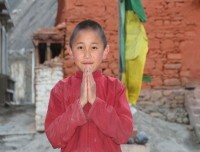 Thank you for your trip with Lovely Nepal Tours and Travels. Our representative drops you at the airport for the final departure or to your further travel destination. 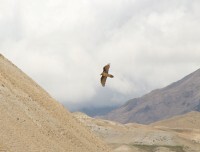 There might be certain delay in flight schedule from few hours to few days while flying to and from Jomsom. The extreme weather conditions, technical problems and minimum visibility can be the barrier for the landing and taking off of the flight. In case of these difficulties, Lovely Nepal Tours can charter a helicopter to make sure you won’t miss your international flight. In this case, the cost of the chopper can be paid directly at our office. You would be provided with the payment receipt so that you can claim the amount from insurance.